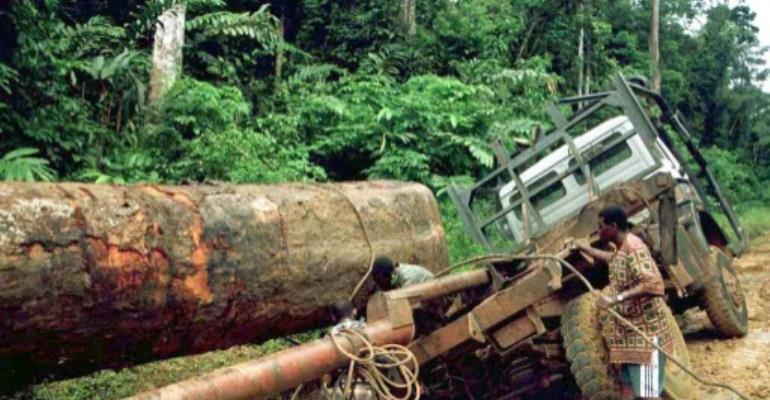 Gabon has suspended a logging licence issued to a Chinese timber company after a British watchdog group, the Environmental Investigation Agency (EIA), accused the firm of bribery and breaches of forestry laws. The EIA, in a report on March 25, said Dejia Group "routinely bribes ministers" in Gabon and the neighbouring Republic of Congo. The group has "continuously broken the most fundamental forest laws, has turned timber trade regulations upside-down, and has diverted millions in unpaid taxes" from both countries, it said. It added that "illegally-sourced timber" from Dejia was entering European and US markets, gulling consumers who believed the product they were buying met environmental standards. The Foresty and Environment Minister, Guy Bertrand Mapangou, on March 29 blasted the report, calling it biased and "inquisitorial" and seeking to "discredit" the country, but indicated the authorities would carry out an inquiry. In a statement received by AFP on Friday, the ministry said investigators had probed a Dejia subsidiary in Gabon, the Societe de Sciage de Moanda (SSMO). "It has emerged from cartographical data and from facts established on the ground that SSMO's executives have continued" to illegally log two forest sites, it said. The executives "reportedly benefitted from collusion" with civil servants, it said, adding that an investigation into these employees was now underway. SSMO's licence to log at the two sites has been suspended "as a precautionary measure" and "all logs found (there) have been confiscated," the statement said. Tropical timber is a vital resource for Gabon, accounting for 60 percent of GDP if the oil sector, the country's principal source of income, is excluded. The country styles itself as a custodian of the forests, but these claims are being increasingly challenged by campaigners. On March 6, the group Conservation Justice said customs officers had seized a huge haul of kevazingo, a precious wood whose exploitation is banned in Gabon because it is considered sacred. About 1,000 cubic metres (35,300 feet) of kevazingo -- around 30 large container-loads -- were confiscated along with other wood in a warehouse at a timber port on the Libreville peninsula. The head of the Chinese business that owned the warehouse and two other employees had been arrested, the group said. Marc Ona, head of a Gabonese environmental group called Brainforest, said that without the EIA report, "the ministry perhaps would not have carried out the inquiry" into SSMO. "This means that, in the ministry, there isn't a team to check that loggers are upholding the law," Ona said.